Cousins Euan and Peter Grewar are the current generation of the Grewar family farming in Perthshire and Angus. Their Great Grandparents, David and Elizabeth, moved the family down from Glenisla to take up a tenancy of Mill of Camno Farm in 1905 in search of better land and a better life. The move enabled the couple to have a fourth child, Arthur, who would become Euan and Peter’s Grandfather. In those early years the farm was a traditional mixed farm growing a range of crops including potatoes and sugar beet which was loaded onto trains at Ardler station for transportation to the sugar factory in Cupar, Fife. Cattle and sheep were also reared and the farm also kept two dairy cows in order to supply the village fresh milk. 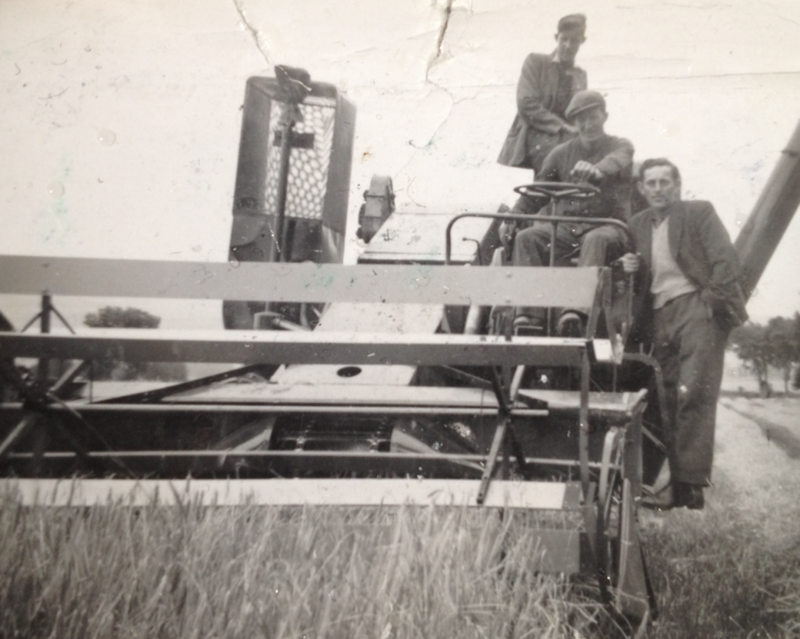 In 1968, Grandpa, Arthur and his five children which included both Euan and Peter’s fathers, bought Dronley Farm at Muirhead where Euan now lives and where Grewar’s Farm Shop is. In October 2014 the cousins installed their first vending machine at East Ardler Farm to answer local demand for their potatoes. A suggestion box became a vital part of the machine in the first few months, and customers were quick to ask for a wider variety of fresh produce direct from the farm so carrots, onions, broccoli and free range eggs were quickly sourced from neighbours, friends and family to broaden the range. Three further vending machines were bought and installed at Dronley Farm, the Overgate shopping centre in Dundee and the St John’s shopping centre in Perth. The demand for local produce was growing and Grewar’s Farm Shop was opened in December 2015.